Looking after your feet isn’t the most glamourous task, but unless you want to experience common foot problems such as calluses or fungal infections, it’s worth putting aside some time to care for them. But you don’t have to splurge on expensive foot care products or a salon only pedicure. You can get smooth feet fast, and in the comfort of your own home without splurging. No matter what state your feet are currently in, we’ve found seven quick and easy solutions for how to make your feet baby soft overnight. Click through the gallery below to find out how to solve the seven most common foot problems and transform your feet. You need an exfoliator that’s made specifically for your feet, as many other exfoliating products are either too gentle or sometimes even too rough. 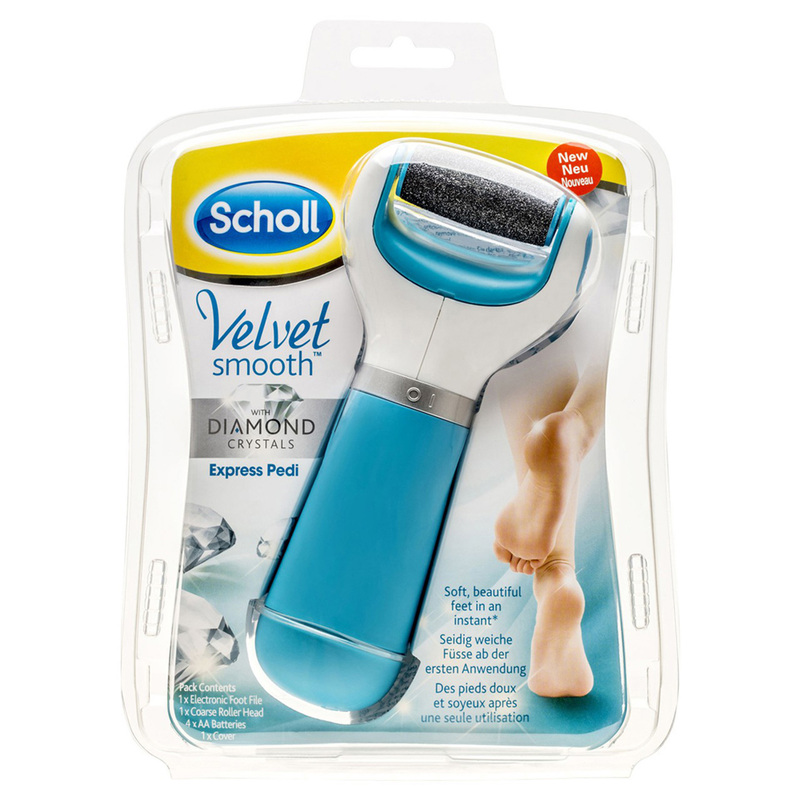 Enter: The Scholl Velvet Smooth™ Express Pedi with Diamond Crystals. With its unique roller head with diamond crystals, it gently removes any hard skin in seconds. Try using the device before bed and then slipping your feet into some Eco Tools Bamboo Moisture Socks after applying your favourite foot lotion or moisturiser. If your feet are really dry, the solution may be as simple as applying a hard-working foot cream before you sleep at night. This will allow the product to work overnight so you can wake up with silky, smooth feet. We love the Natura Siberica OBLEPIKHA SIBERICA FOOT CREAM as it’s formulated Siberian herbs and oils, Altai sea buckthorn oil and Yakut sorrel for serious hydration, plus sage oil for its regenerative properties and antiseptic effect. Yes, fungal infections can happen to all of us and while they’re gross, they need to be treated ASAP. 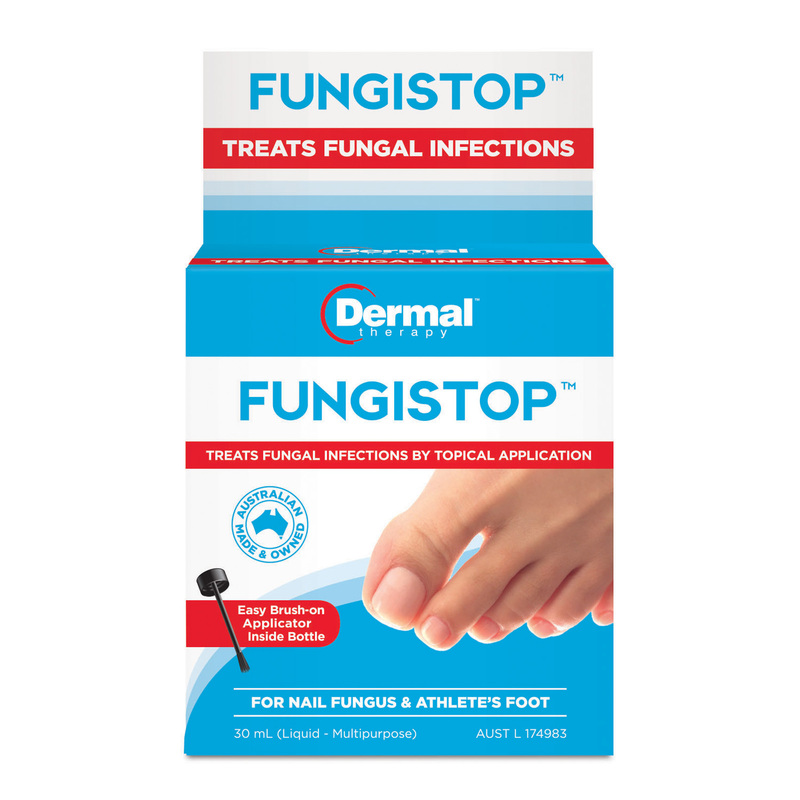 The good news is that a mild fungal infection can be treated quickly at home with a product like the Dermal Therapy™ Fungistop™. Its brush-on application makes it easy to reach the nail bed or skin with the tea tree and eucalyptus oil formula, which helps to relieve symptoms such as itching, cracking, burning and discomfort. While you might be able to walk on a hot road longer than others, calluses need to be dealt with. This is a job for a foot file that’s designed to rid your feet of calluses, fast. 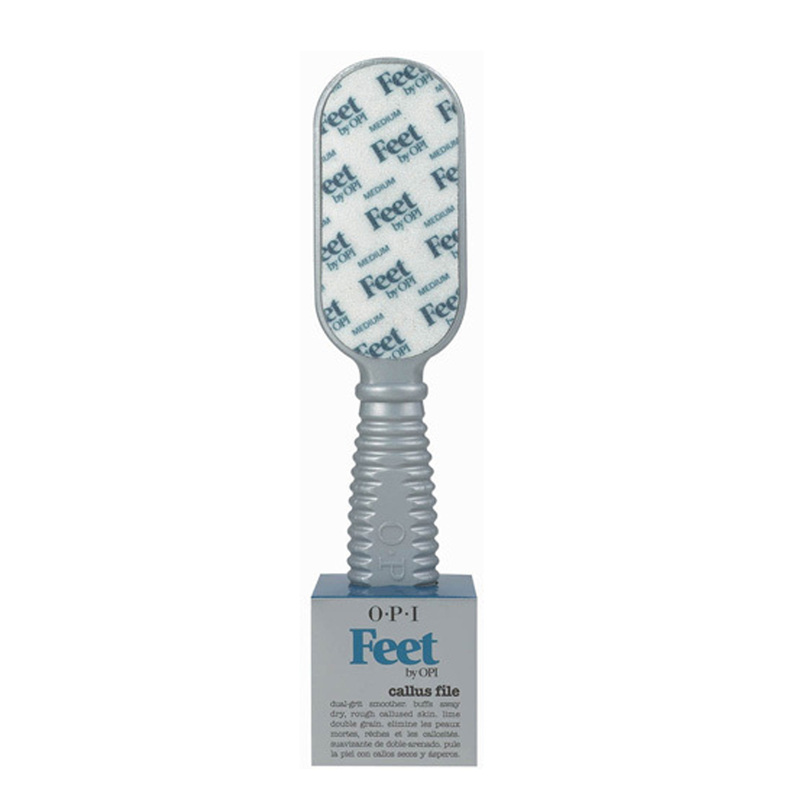 We love the OPI Callus Foot File, which is a dual-grit callus file, designed to buff away dry, rough, callused skin. It features a medium side grit which reduced calluses, and a finer side which buffs to a smooth finish. You won’t recognise your own callus-free feet! When your feet start to crack, you know you need to start taking better care of them. While a nightly foot cream ritual is a great start, you’ll need something stronger to help repair the dry, rough, thickened skin. 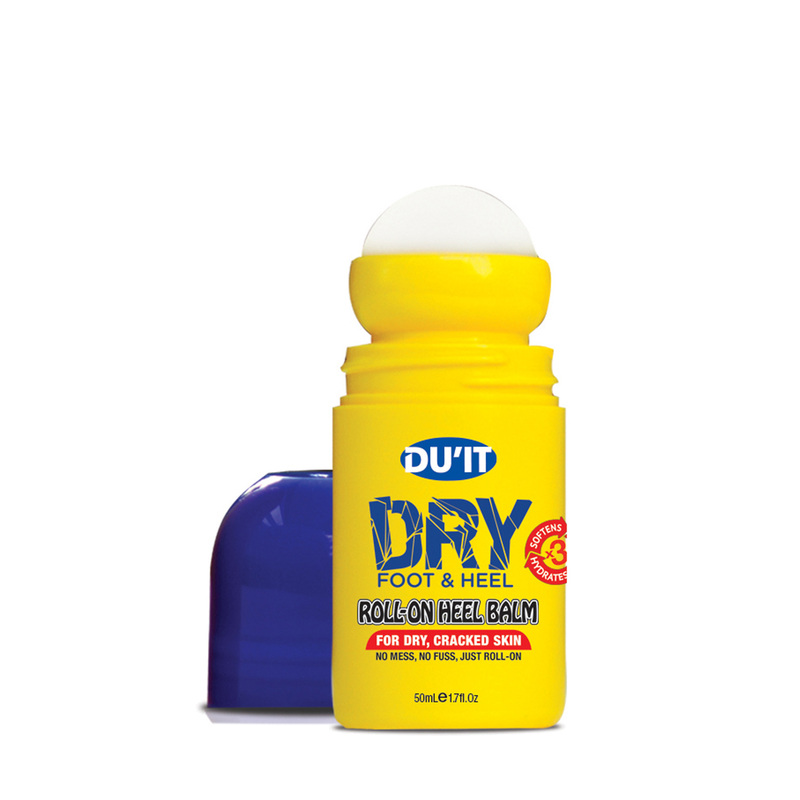 The DU’IT Roll-A-Balm is a foot and heel balm that’s formulated with 10 per cent urea, meaning it works quickly to provide relief to cracked skin. The addition of AHAs means it also exfoliates and removes dead skin cells, plus vitamin E soothes skin. Have feet that smell like a wet dog? You need an intense foot peel to help to exfoliate and get rid of any layers of dead skin from your feet, as this is where bacteria hides and can cause your feet to smell. You can’t go past the Milky Foot Intense Exfoliation Pads, which removes hardened skin through its intense peeling action after just one application. Once you put the Milky Foot socks on, you can relax for 45 to 60 minutes while they exfoliate and soften your feet. I don’t know what’s more painful, the fact that blisters really hurt or that they seriously limit the selection of shoes that you can wear. 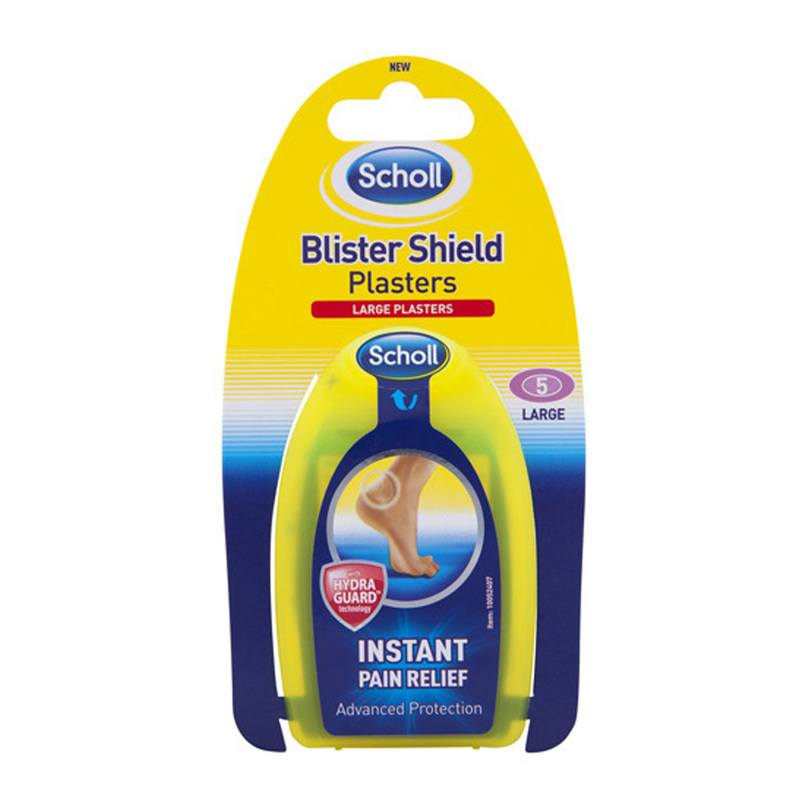 You need an advanced blister protection plaster, like the Scholl Blister Shield Plasters with Hydra Guard Technology. These dual layer Hydra-Guard™ technology protects and guards the blister from friction and rubbing, while the soft gel island cushions and can assist in healing the blister. They’re also waterproof, clear and discreet. How do you take care of your feet? Have you tried any of the products we mentioned in this article? This is a great reminder to fix my feet immediately! I can't do without my Scholl Velvet Smooth Pedi File. It works wonders at smoothing dry rough skin fast. I use it on my feet dry, then a foot scrub before rinsing and drying my feet. Prior to bed I use an overnight renewing cream. To maintain the smoothness of my heels from then on, I use Neat Feat Heel Balm nightly. I havent got around to trying the Milky Foot yet. Hope so soon - maybe a winter's pampering session will be the day! Scholl velvet foot pedi is great - been using one for years. Love to try the Milky foot and now it's coming into winter, might give it a go. Had my eye on the Du'it but yet to try. Milky foot is so grossly satisfyinf! The milky foot was fun, effective but gross at the same time. Freaked my husband out when I used it. So many great products for fee these days - love that - and it makes me wonder what they did in the 'oldendays' for their feet!! Soak feet in foot spa with a bit of bi-carb soda , foot scrub then vaseline on feet and socks on overnight. Super soft feet next morning . Also Dermal Therapy heel balm... best ever !  I love Scholl products and Milky Foot for foot care. My heels are starting to get dry these days! Never had this problem before, that siberica cream looks lovely! I really need to start making time to look after my feet more as I get older I think! The Du'it roll-a-balm looks really unique! I wonder if the consistency is like roll on deodorant? It rolls on very easily. You don't need a lot. Crystal in a few minutes. I do it nightly before bed. You will see improvement quickly. Clean hands. Du'it also sell foot and heel balm plus. 20g tube. Works even faster. I have both. Got the roll on as I wanted to try as the tub was running out. I will purchase the tub again. Both work fast. My emjoi pedismooth is my favourite tool for my feet. I actually found milky foot to not be that effective. I am currently using a foot cream which is working wonders. I cannot think of the brand at the moment but I need to review it if I haven't already. I currently use NutriSynergy NS-8 Heel Balm to sooth and smooth my heels. One of the best on the market! with all the pressure on the face the feet can be overlooked. mental note-prioritise feet. I love Natura siberica products they are such great quality, when I can spend again I intend trying the foot cream. My feet are a disgrace at the moment! Feeling inspired - I really need to start looking after my feet bit better. Natura siberica foot cream looks most tempting. I love the Scholl file, I couldn’t handle if they ever discontinue the refills. Have bought some more Milky foot and Tony Moly foot peeling lotion. Will be looking into buying one of these products. I wear trainers most of the time so no problems with my feet. Also a nice moisturiser and bed socks! When you wake up the feet are silly soft! Works the same for hands in winter! That OPI Feet File looks cute and cool and I'd love to give that a go. Love OPI stuff! For some reason or other, when I went up northern NSW/Qld for two weeks at the end of last year I found my heels were cracking up so badly there that they even started to bleed - and I've never had heels that badly cracked before in my life. After returning to the Central Coast NSW which is my home area, the cracked heels healed up and went back to normal. I wore the same footwear (thongs) in both areas so I can't work out why my heels got so cracked from being up there. Anyhow, this article reminded me of this. When I got home I put some NutriSynergy NS-8 Heel Balm Complex on my heels which soothed and brought them back fast. I always wanted to try Milky foot. I will have to remember to buy it next time I go out shopping. I need to take better care of my feet. I want to try the Scholl Velvet Smooth. My feet are constantly in a bad way due to my medical condition. Donyou reckon it would work with Paw Paw ointment? I love the scholl one, I’ve got an emjoy as well but it’s not nearly as great. The scholl foot file is amazing I would definitely recommend investing in one of these. I have the scholl foot exfoliator..and I'm going to get my hands on the milky foot soon! My poor feet are so neglected. That foot cream looks good and so do those milky socks. I own one of these Velvet smooth pedi's. So amazing.. leaves your feet clean, soft and smooth.